“I think Post Pals is great. I’m blind so not many people send me post. When I get home from boarding school on Fridays I love getting my Post Pals mail and presents, it’s the best thing about the weekend. My mum reads everything to me and I’ve made lots of new friends all over England.”- Pal Stephanie W, aged 15, Juvenile Battern Disease. “What an incredible achievement. This website is fantastic and we are so proud to have played a very small part in it.”- Sarah Robbins, Princes Trust Head Office. “When James was first diagnosed he was really miserable because of his treatment and subsequently due to some abscesses he developed. One thing that really perked him up was the attention of the Post Pals girls. Apart from the fact that he received cards and gifts, the messages that they wrote gave him the strength to keep himself together. Often the cards were handmade and he was delighted with the effort people had gone to just because he was ill. Two and half years on, James is still getting cards and his twin sister is good friends with a lot of the girls who sent them. Such a simple idea has paid dividends in contributing to James’ recovery. It is said that people who are prayed for stand more chance of recovery, but I believe that those who are supported by people such as the Post Pals team have their chances multiplied 10-fold.”- Jon, Dad to Pal James R, aged 12, Acute Lymphoblastic Leukaemia. 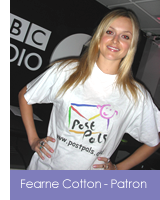 “Post Pals is a fantastic idea. Sam loves opening his post, all the lovely cards and gifts have brightened many an otherwise grey day. Everyone has been so kind and caring, and it means a lot to us.” – Emma, Mum to Pal Sam M, aged 3, Epilepsy. “Jamie has been spoiled throughout his treatment, with gifts from friends and family. When the Post Pals mail started to come through, I was worried that he wouldn’t notice it much, as it was mostly cards. I was surprised that Jamie enjoyed his cards, postcards and letters. He was most thrilled with a Valentine’s card from someone!!!! I was most touched by a card from a boy in Afghanistan, which was homemade, and simple. On the front was a world, with children holding hands, and it said “Peace” on it.” – Kelly, Mum to Pal Jamie, 14/4/2000 – 31/7/2005, Neuroblastoma.